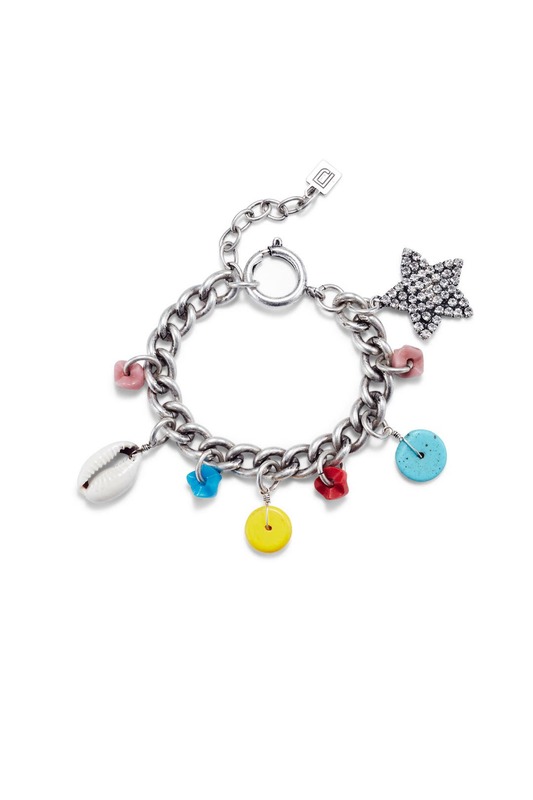 Bring a beachy touch to your wrist game with this Dannijo charm bracelet that's both edgy and sweet. 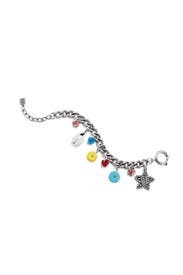 Oxidized silver charm bracelet with pave, stones, and shell accents. Lobster clasp closure. 8" long.